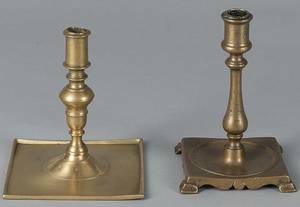 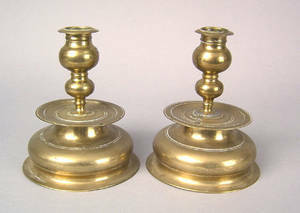 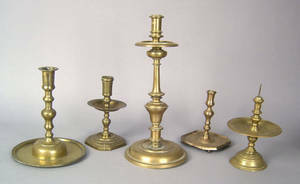 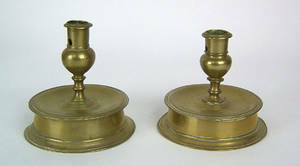 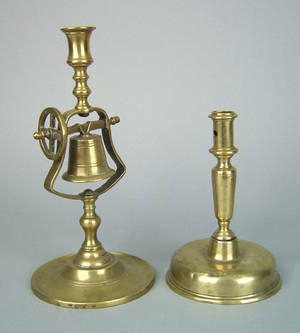 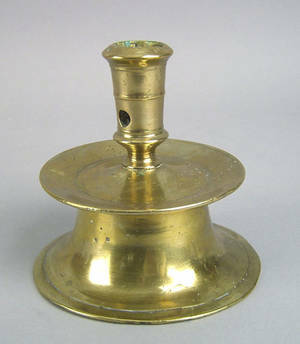 Spanish brass "Mary Rose" candlestick, ca. 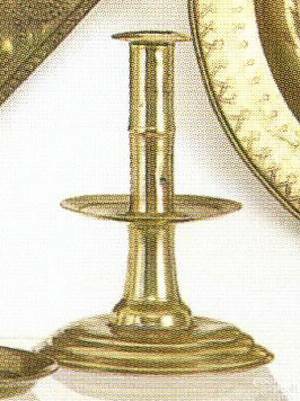 1620 , with massive low base, 5 1/2" h. Provenance: John Walton 1959. 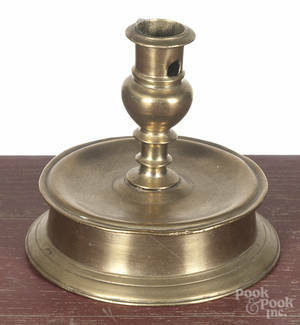 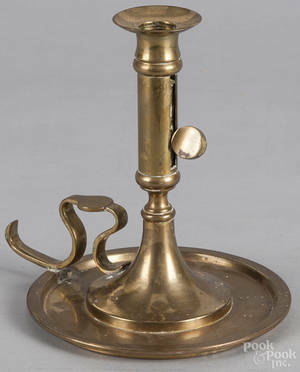 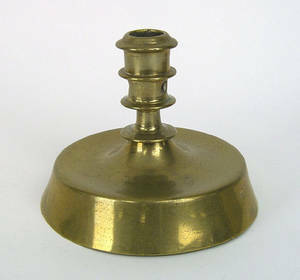 Spanish brass dome base candlestick, early 18th c.
Spanish brass capstan candlestick, 17th c.